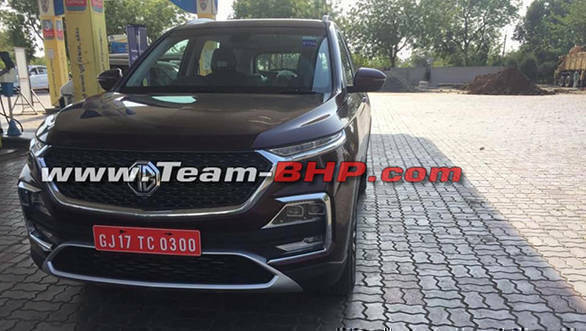 Earlier this month, Morris Garages (MG) unveiled the Hector for the Indian market, however, manufacturers are yet to announce the launch dates. 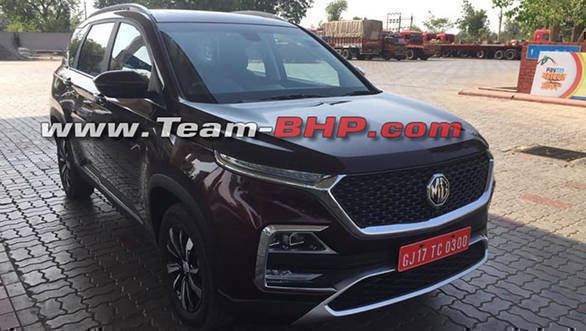 That said, a MG Hector was spotted in India in its production-ready form. 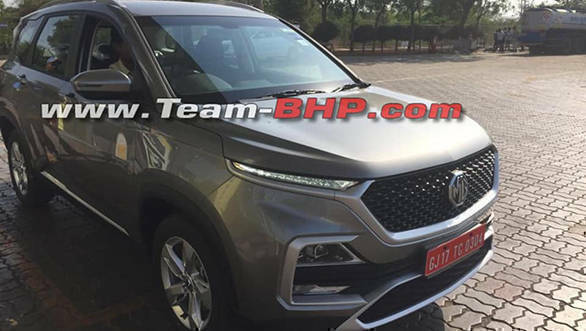 The upcoming SUV will be positioned in the segment between Tata Harrier and the Hyundai Tuscon and will initially be a five-seater. That said, a seven-seater MG Hector could be seen in the future. 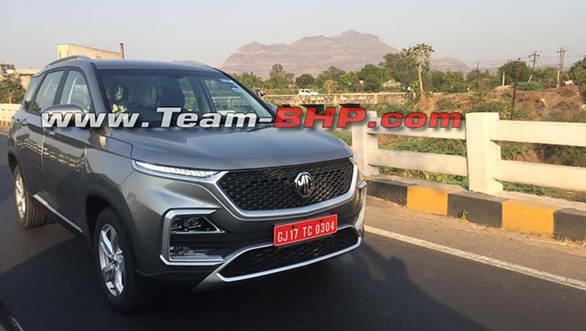 The MG Hector SUV gets a honeycomb grille and an air dam up front. The headlamps are projector units which are set low in the bumper, whereas the LED DRLs are positioned higher, close to the hood. The spy images show two SUVs and with different sets of alloy wheels. One is equipped with a set of five-spoke alloy wheels and the other gets a multi-spoke design with chrome and gloss black finish. When launched in the Indian market, The MG Hector will be offered with a 1.5-litre turbo-petrol engine with a 48V mild hybrid system. The petrol variant will have a combined power output of 143PS and 250Nm. The diesel engine will be the 2.0-litre FCA Multijet unit as seen on the Jeep Compass and Tata Harrier that will produce 173PS and 350Nm. The Hector is expected with a six-speed manual transmission and a Dual Clutch Transmission for the automatic opters.